Do you remember where you were when the 2008 financial crash happened? Unless you worked in the stock exchange or a bank, to most people it was just another normal day. Maybe you happened to glance at the news that day and saw people talking about the economy in more detail but thought nothing of it. That’s because a recession is not like a hurricane or an earthquake. To begin with, you hardly notice and it can take months, even years to have an effect on your everyday lives. But if you haven’t planned well, it will take its toll on your financial health. Here’s how to prepare for a recession. What is a recession? It’s simply negative economic growth or a slowdown. They are a natural part of the cycle of prosperity but can also cause long-term damage from which its hard to recover. The world is an unpredictable place and recessions contribute to this. They could cause you to lose your job or perhaps to turn your job into a part-time or freelance role that leaves you quite a bit of pocket. And it might not be you who loses your job. It could be your wife or your son or daughter who needs a helping hand during the next recession. This is where ensuring you have savings helps. It means you are always ready to bridge those awkward gaps between jobs. What’s more, saving doesn’t have to be hard. You do have to be disciplined but you could start by saving just $20-30 each week, increasing that amount if you believe that another recession might be likely. Of course another way. Savings can help you live more frugally, which might even make you feel happier. And saving is a lot easier when you have made the effort to educate yourself. Americans have debts, that’s just a fact-of-life in the twenty-first century. In fact, the average American has $38,000 of debt. It’s easy to think about not bothering to pay off your credit card or other debts you have, leaving it all until the end of the month or only paying off the minimum. However, if a financial crash happens you may find those interest rates rocketing. To avoid this you might have to dig into your savings to pay off your debts in one lump sum. This is not a sensible idea. Instead, pay off your debts as you go. Most credit cards have their own app, allowing you to pay them off as soon as you’ve spent the money or to see when your repayment date is. Banks, still recovering from the last recession, don’t give the best interest rates. During an upcoming recession, they might be worse. You are much better off investing any spare cash you have during times of prosperity. Property is always a good option, even more so if you can find some good tenants who pay their rent on time and do not trash your property. Even better is to buy property abroad in a market is potentially ringfenced from whatever is happening back home. If you haven’t invested in property and have instead invested in other stocks and shares you might want to consider their vulnerability in the next recession. If they are particularly high-risk shares and you’ve made a good profit so far now might be a good time to cash out or think about investing in something less risky. If deciding this is proving tricky then it might also be worth calling in an expert in investment portfolios to ask if they can provide any advice on securing your future. But if you’re investing, particularly if you’re just starting out in the world, be sure to avoid these 10 mistakes. If you don’t know much about the economy how can you hope to predict when the next recession will be or how to go about protecting your money? The solution is to educate yourself about the economy. The best way to do this is to watch the news. The economy is often not a random event but is lead by political news across the globe. Savvy traders who saw the leave result of the British referendum on membership of the European Union in June 2016 acted quickly. They were able to take advantage of the fact that the value of the pound sterling had dropped to record lows against the dollar and were able to cash in through converting their money or buying British goods online. The biggest economic players are China, the U.S, India and oil-rich Middle Eastern states like Dubai and Qatar. Watching news providers like Al-Jazeera that offer a more global perspective than news coverage that just focuses on the states can be a good way of educating yourself. So too can reading local newspapers from across the world. Apps like Press Reader allow you to read newspapers as diverse as the Bangkok Post to the Wall Street Journal. 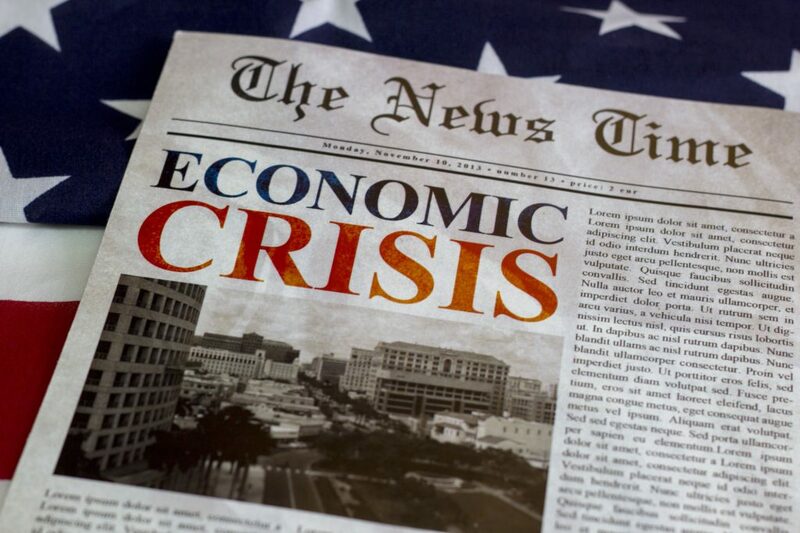 Once you know a little bit about basic economics and politics, try taking out a subscription to the Wall Street Journal or the Finacial Times which both provide in-depth analysis on global financial markets and stock and share prices. Also, consider courses on the economy at your local university or community college provider. Many courses can also be taken online. Like most things in life if you are confident and know what you are doing, protecting yourself from the next recession is relatively straight-forward. Don’t make risky decisions and wise up about what is happening in the world. Equally, if you are truly worried about the dangers of another recession living more frugally, downsizing or selling that second car and banking the money might give you the peace of mind you need. Remember though that the future is never certain and whilst we can try to predict what might happen, recent political events show that is impossible. If you’re worried about how to prepare for a recession be sure to keep tabs on our financial security pages that are updated regularly.